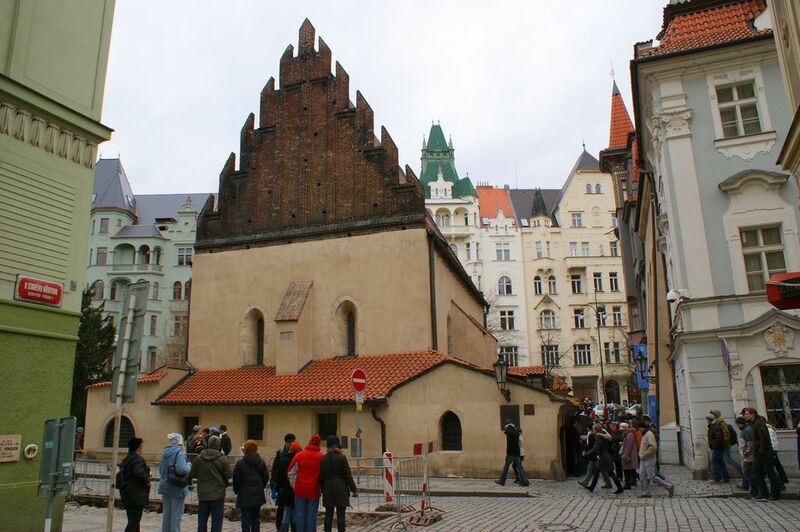 The Old-New Synagogue is the oldest site in Prague’s Jewish Quarter and the oldest active synagogue in Europe. The Old-New Synagogue is located in Josefov, Prague's Jewish Quarter, and it has been the main synagogue of Prague's Jewish community for more than 700 years. The gothic style building was completed in 1270 by stone-masons from the royal workshop who were working on the nearby Convent of St. Agnes, and it is testimony to the important status of the then Jewish community of Prague. 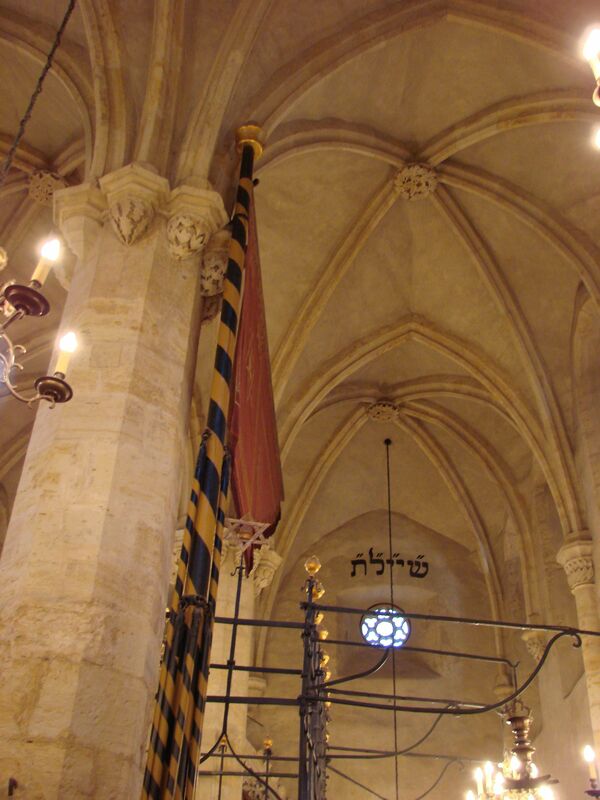 Originally called the New or Great Shul, it was not until the establishment of other synagogues in the late 16th century that it came to be known as the Old-New (Altneuschul). 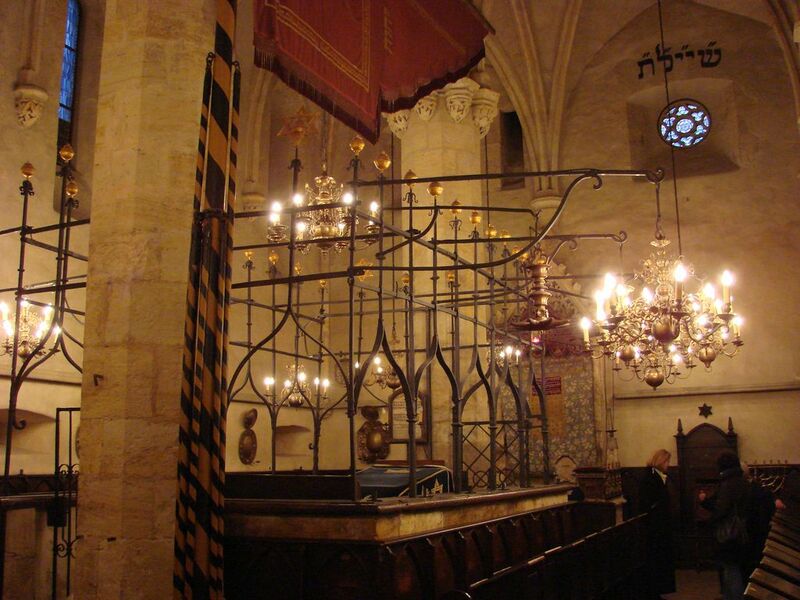 The Old-New Synagogue is the oldest surviving synagogue with a medieval double-nave. It is a rectangular structure with a large saddle roof and Gothic gables, the thick outer walls of which are supported by buttresses. The main building is surrounded on three sides by low annexes which serve as a vestibule and women’s sections; the latter are connected to the main hall only by narrow apertures in the walls, which enable women to hear the services. The main room is lit by numerous bronze chandeliers, dating from the 16th to the 18th centuries, and brass reflectors hung on the walls. In use since the late 15th century, it was restored to its present form by Emperor Charles VI in 1716.